As touchscreen Chromebooks with Google Play Store access become more common in education, Android apps will be a big part of making devices game-changers for the classroom. We are not there yet, but the future has great potential. I have blogged about five Android apps I like for education. Update (4/2/2019): I have published Another Five Educational Android Apps for Chromebooks. Here are five more good ones. Google Keep is the cat’s pajamas. It is great for brainstorming, to-do lists, collaboration, and feedback. Watch as I demonstrate the Google Keep Android app which comes with slightly more functionality than the web app. Ability to add voice recordings using the device’s mic. Use that ability and Google Keep’s integration with Google Docs and Google Slides to give your students narrative feedback. Why doesn’t Google Keep’s web interface allow teachers to use their mic? Webcam does not integrate for video. Enhanced ability when viewing 360° video. The Android app works better than the web app when in tablet mode. None. The app is most valuable as a 360° video viewer and it does that job well. Very artsy – it’s like painting without ink. I prefer Adobe Illustrator Draw for diagrams, notes, and anything with text. Snapseed is Google’s photo editing app for Android. It has surprisingly robust features for a free Android app. Great tool for manipulation of images – especially photos. Watch what happens when you use the Head Pose tool! I can’t think of any. I’m Team Snapseed! Usually, when I suggest a tool on this blog, I wholeheartedly endorse it. That is not the case with Science Journal. It’s worth sharing because it has great capability for capturing and organizing Science lab data. It debuted in Spring 2016 and it seems like Google has not been interested in it since. (Update: Google has recently published new Science Journal content. Yay!) Still, Science teachers should check out the Science Journal activities Google published in Spring 2016. Great tool for collecting and organizing Science lab experiment data. Google has activities ready to go. It is less useful on Chromebooks without a world-facing camera. Google seems to have given up on it. Thank you for reading. 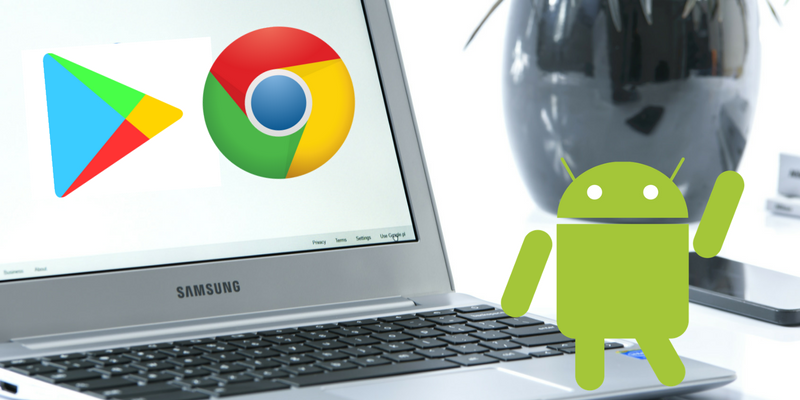 Want to know if your Chromebook can run Android apps? Here is the list of Chromebooks that support Android apps. How would you use Android apps with your students? Please comment below or tweet me, @TomEMullaney. Loved it, as usual. Thanks for putting it together. Word on the street is Wake County is getting chrome books for Elementary schools. Any good advice for use with littles? Have a looks at the Asus C213 for education. I’m not sure the exact best Chromebook for elementary but I like that one in general because it is a convertible with a world-facing camera in tablet mode.